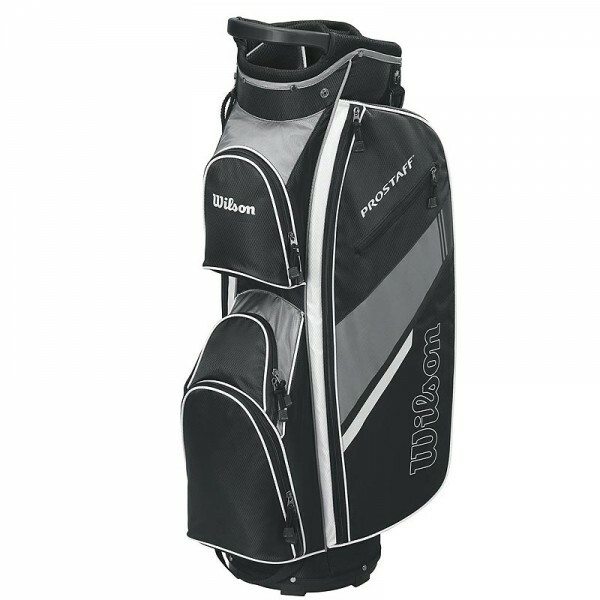 Produktinformationen "Wilson Pro Staff Golf Cart Bag schwarz/grau"
The ProStaff Cart bag offers a 14-way top and 3 full-length dividers for club organization. Equipped with a built-in handle and padded strap for the ease of unloading and demounting. Also equipped with seven pockets to keep your belongings protected. Seven pockets for ample storage: Two large garment pockets, two external accessory pockets, one range finder/ accessories pockets, one ball pocket and one large insulated pocket. Weiterführende Links zu "Wilson Pro Staff Golf Cart Bag schwarz/grau"
Kundenbewertungen für "Wilson Pro Staff Golf Cart Bag schwarz/grau"